O'BSERVATIONS - OBAMA'S "JEDI MIND-MELD"
"[E]ven though most people agree that I’m being reasonable, that most people agree I’m presenting a fair deal, the fact that they don’t take it means that I should somehow, you know, do a Jedi mind meld with these folks and convince them to do what’s right." 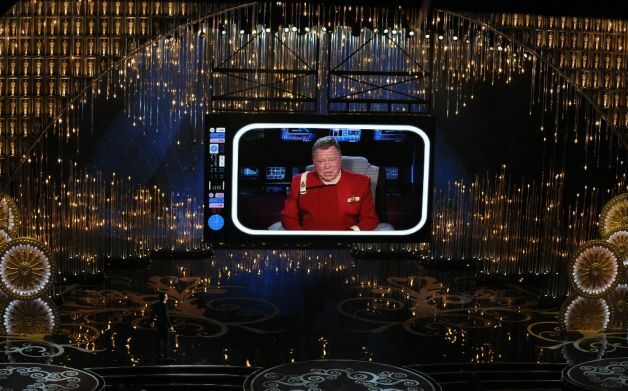 That blending of 'Star Trek' with "Star Wars" set the social media fandoms into high gear as fans of both franchises howled in protest. But I say, what's the big deal? We know the Doctor visited Vulcan in an early episode of 'Doctor Who' and later used the Vulcan mind-meld. 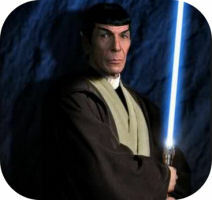 So why couldn't some Jedi knights visited our galaxy and learned the mind-meld themselves. And even if they didn't, why couldn't they have developed their own form of mind-meld and included it in their repertoire of Jedi mind tricks. Remember, it's mind tricks, not just one trick. A mind-meld could be one of those. It's a situation like this that needs the Skitlandian televersion of William Shatner to tell those who got upset to "get a life"! Samuel Leroy Jackson (born December 21, 1948) is an American film and television actor and film producer. 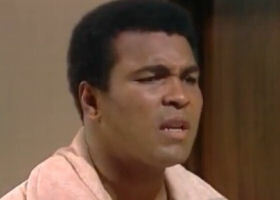 After becoming involved with the Civil Rights Movement, he moved on to acting in theater at Morehouse College, and then films. He had several small roles such as in the film "Goodfellas" before meeting his mentor, Morgan Freeman, and the director Spike Lee. After gaining critical acclaim for his role in "Jungle Fever" in 1991, he appeared in films such as "Patriot Games", "Amos & Andrew", "True Romance" and "Jurassic Park". 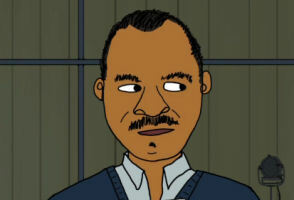 In 1994, he was cast as Jules Winnfield in "Pulp Fiction", and his performance received several award nominations and critical acclaim. 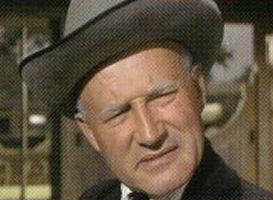 Jackson has since appeared in over 100 films. 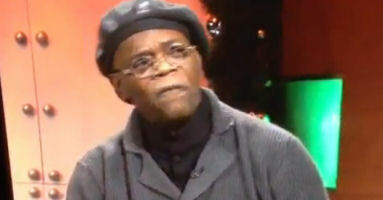 AP - One-time Jedi Master Samuel L. Jackson nearly dropped the f-bomb on 'Saturday Night Live' [December 15, 2012]. 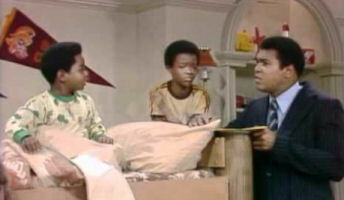 Playing the host of “What Up with That?” Kenan Thompson looked startled by Jackson’s vulgarities but kept going. “C’mon, Sam. That costs money!” he quipped, cracking up the studio audience. 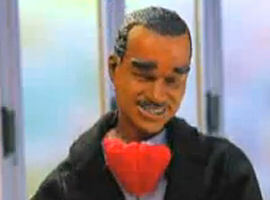 It is accepted that 'Saturday Night Live' is a TV show in Toobworld as well. So anything that happens during the monologue or the closing sign-off would be considered part of Earth Prime-Time, seen by the audience in Toobworld as well as in the Trueniverse. 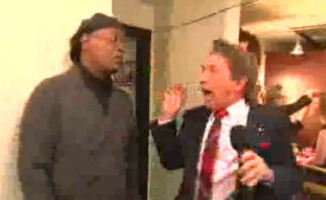 So, on December 15, 2012, when Martin Short sang his way through the hallways at Studio 8H, he was surprised/shocked/scared to see the menacing Samuel L. Jackson in the corridor. That would be Jackson's televersion in the main Toobworld. 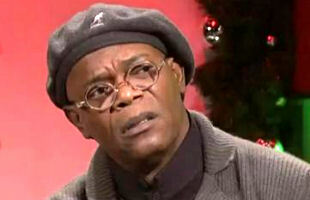 But later, when Samuel L. was appearing on the latest installment of "What Up With That? 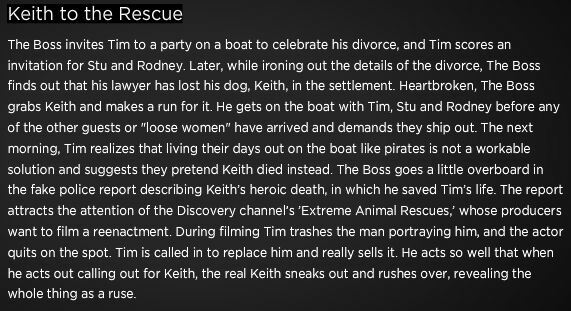 ", that was a TV show within a TV show firmly rooted in the sketch comedy dimension of Skitlandia. 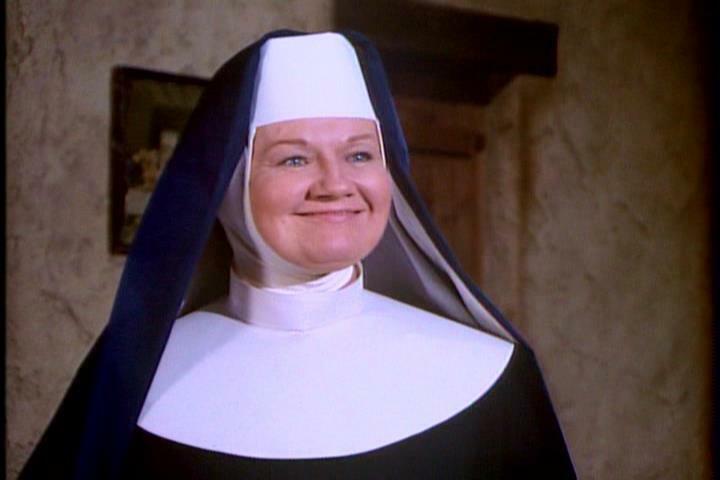 Sister Jacqueline was a nun at the convent of San Tanco in Puerto Rico. 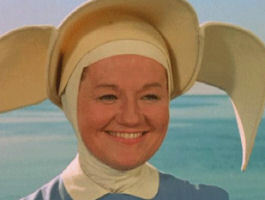 She served as a protective aunt figure for novice Sister Bertrille and tried to help her, most times unwillingly, in her schemes which involved the younger nun's ability to fly in her cornet. 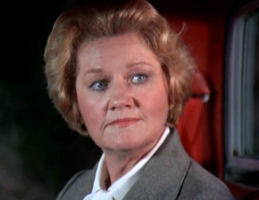 'The Six Million Dollar Man' - "Little Orphan Airplane"
'The Rockford Files' - "The Battle-Ax And The Exploding Cigar"
* Most online sites have her name listed as "Annett", while the show's wikia had it as "Anneti". But a DVD frame grab supplied by Caeric ArcLight had a caption that listed it as I would expect it to be spelled - "Annette". LEAGUE OF THEMSELVES - T.O. Terrell Eldorado Owens (born December 7, 1973) is an American football wide receiver for the National Football League (NFL). A six-time Pro Bowl selection, Owens holds or shares several National Football League records, and features in the all-time top-five in several receiving categories, including yards and touchdowns. Popularly known by his initials, T.O., Owens is as renowned for his flamboyant touchdown celebrations and public persona as he is for his talent on the field. His actions on and off the field have led to many league fines, as well as frequent penalties for his team. THEORY OF RELATEEVEETY - HOW ROOD! 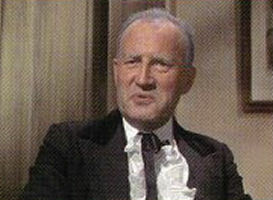 Carlton Rood was a highly successful defense attorney in New York City whose clientele consisted mostly of the criminal element. It was rare for any of his clients to ever get convicted, but this wasn't entirely due to his ability to convince the jury to accept his interpretation of the facts in the case. Sometimes key witnesses met with untimely ends, but Carlton Rood could never be implicated as having been involved. 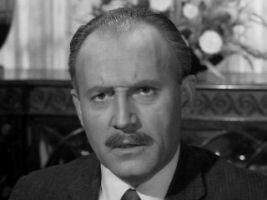 Carlton Rood had a brother who was also in the legal system. Once a lawyer himself, the older Rood got elected to the bench and served as a judge in New York City. Judge Rood was just as corrupt as his brother Carlton, and he often used his position to his own advantage. He not only ruled on cases from which he could profit, but he also used great influence to persuade politicians and elected officials to change laws so that he could profit. After the death of his brother, Judge Rood found his stellar career begin to dim. A whisper campaign was mounted against him with claims that he was just as crooked as his brother. Former friends in positions of power stopped returning his calls. It looked as though he was finally going to lose a re-election. Judge Rood was approached by a secret organization with an offer to join them. Accepting the dire circumstances of his future as it currently stood, the Judge accepted their offer. The judge was brought into the organization and they made it look like he completely vanished from the world, like Judge Crater before him. For a few years, Judge Rood served as a bureaucratic functionary in the organization. But then in the late 1960's, he was given charge of a new project - he would be in charge of a village full of kidnapped operatives and any others with government secrets that needed to be extracted. And these "Villagers" were from governments all over the world, for this Village was a microcosm of the world. 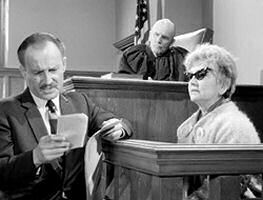 (Like so many before him, the Judge never knew for what side the organization worked. And it probably didn't matter. The Judge was installed as the new "Number Two" of the Village and given one specific task before all others - more than on any other prisoner, Number Two was to focus on Number Six and force him to reveal why he resigned. It was believed that if they could break the resolve of Number Six and make him answer that, then they could get all his secrets. 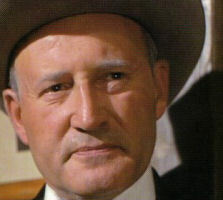 The Judge used a deadly mind control experiment with a live action role playing game of "Cowboy". But the role-playing was just as intense for the other participants working for the Judge - although Number Six never broke, the others did. One of his assistants went mad and then choked the girl working with him to death before plunging to his own demise. It was not long afterwards that the Judge was removed from his office in the Green Dome building and never seen again in the world. 'The Saint' - "Element Of Doubt"
'The Prisoner' - "Living In Harmony"
This doesn't mean we're done with the salute to black celebrities, however. We're going to play out the week with a few more since we had so many from which to choose for this theme. 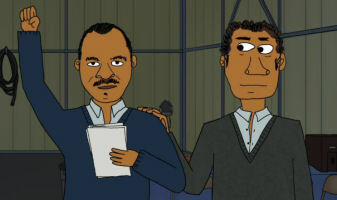 And then we'll wrap it up on Sunday with one last taste of Mr. Billy Dee goodness. Note: As we enter the show's fiftieth anniversary year, the answer to the question "Doctor Who?" may finally be answered. Note: It's amazing that in all the years the show was on the air, never once did the Virginian's fellow ranch hands call him by name. 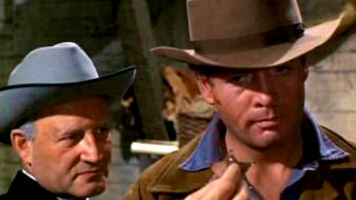 Sometimes people addressed him simply as "Cowboy". Note: He was referred to as "Ray", but that was because of his car. Note: Officially we don't know what his name was, but that was for purely outside-the-box legal reasons. I think we can all agree that he was actually John Drake of 'Danger Man'. Wendy Williams Hunter (born Wendy Joan Williams; July 18, 1964) is an American media personality, actress and New York Times best-selling author. She hosts her own syndicated talk show, 'The Wendy Williams Show'. 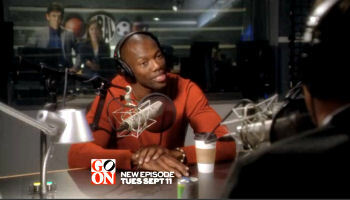 Williams has gained notoriety for her on-air spats with celebrities. Williams was a contestant on the twelfth season of 'Dancing with the Stars'. She was eliminated on April 5, 2011. Wendy Williams also sells a line of jewelry products on the home shopping network, QVC, called "Adorn by Wendy Williams". When a famous rapper brutally assaults his girlfriend, the SVU squad must battle music industry politics in pursuit of justice. Dave Navarro, Jeffrey Tambor, Wendy Williams and Perez Hilton guest star. Ellery Queen and Mr. Lucky both began life in the printed page- cousins Frederic Dannay and Manfred Lee created Ellery Queen, and Milton Holmes wrote the story which introduced Mr. Lucky to the world. So their home-base would be the fictional universe of BookWorld. And then we come to my favorite realm - the fictional universe for television which I have dubbed "Toobworld". 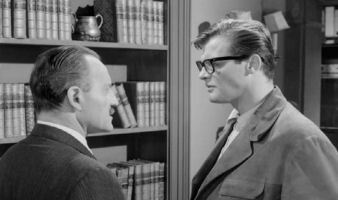 Although there have been plenty of incarnations of Ellery Queen in the TV Universe, Toobworld Central has broken its own rule and decreed that the first version is NOT the official portrayal for Earth Prime-Time. That honor goes to the 1975 adaptation which starred Jim Hutton. That show got the character, the time period, and most importantly the quality of the mysteries perfectly. And of those three fictional universes - BookWorld, the Cineverse, and Toobworld - it's only in Earth Prime-Time where it can be theoretically established that Ellery Queen and Mr. Lucky share the same world. They might even know each other. 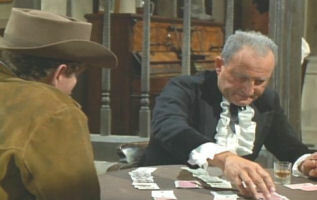 In the "Gordon Caper" episode of "Mr. Lucky", he called Lt. Rovacs to report a murder. But the Lieutenant wanted to know who was calling. "What did you tell him?" asked his assistant Andamo (grandson of Artemus Gordon.) "I said I was Ellery Queen," replied Lucky. "I don't think he believed me." Too often these days, TV writers feel they have to over-explain their references, and in doing so, they just destroy the effect of that reference. It also ruins the chance to use those references as connections. But Lucky never mentioned Ellery Queen as a fictional character. It could easily be interpreted as a mention of a "real" person in Toobworld. Perhaps Lucky actually knows Ellery Queen! And that's the way I'm going to consider it for the Toobworld Dynamic! 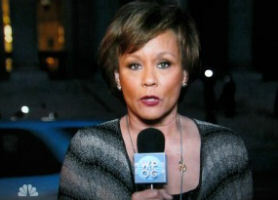 Last year, long-time WNBC-4 news anchor Sue Simmons was let go from the New York City TV station when her contract expired, ending a very long and colorful tenure with the Live at Five broadcast. 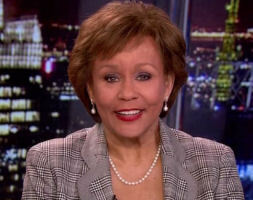 Sue Simmons (born May 27, 1942) is a former news anchor who was best known for being the lead female anchor at WNBC in New York City from 1980-2012. 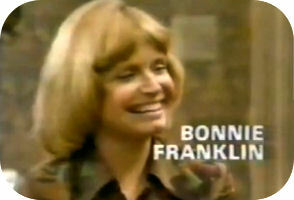 Her contract with WNBC expired in June 2012 and WNBC announced that it would not renew it. 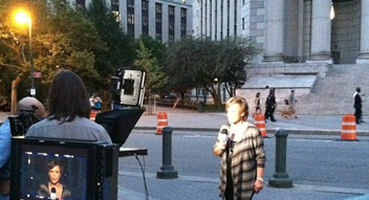 Her final broadcast was on June 15, 2012, in which she received farewells from long time co-workers, as well as from numerous sports figures and celebrities. But by the time she appeared on '30 Rock', she had already been let go from her position. When she appeared at that empowered women's forum lunch, she seemed to have some residual resentment about what happened to her. 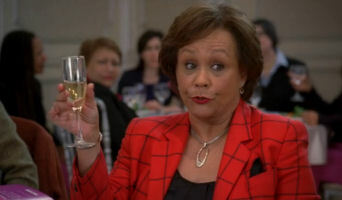 Meanwhile, over in a still-undetermined alternate TV dimension, Sue Simmons bounced back from her firing at Channel 4 with a new job at Channel 10. This is Sean Fine and his partner. 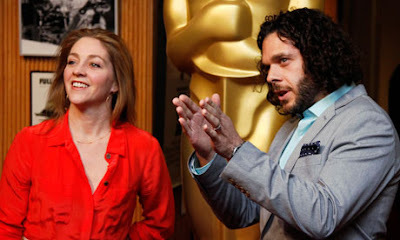 They won the Oscar for producing the short documentary film "Inocente". Technically, I suppose this is the Skitlandia version of Captain Kirk. But could the argument be made that he's from the future of Earth Prime-Time? SUPER BOWL BLIPVERTS 2013 - GOT MILK? "We're sworn to protect The City. Had it not been for the alien invasion at the end of this blipvert, I would have accepted it as part of Earth Prime-Time with no hesitation. Up to that point, everything that happened in the City could have happened in some unnamed sitcom location. All just part of a day in the life of The Rock. It takes years before a world-wide alien invasion can be accepted into the Toobworld timeline. Enough time needs to have passed in order to blend the event in by way of collective amnesia about the specific events that occurred at that time. So it's been nearly fifty years since the Canamid invasion and the first major Cybermen invasion; around thirty years since the arrival of "the Visitors". We know how the Cybermen and the Visitors were thwarted, and we can assume that - with the help of the Doctor - the Canamid people-eaters never again came to Earth to sample the human fare - er, race. The same could probably be done in this case, where we don't remember the details as to why nobody in other TV series remember being invaded by these little bug-eyed monsters who looked like the stick-up figures you'd find on a car window. Or we could say that the whole thing happened, and then was wiped from the history of Toobworld by yet another revision of the timeline. About the only characters who might have taken notice of such a small-scale alien invasion on a regular basis would be Dr. Walter Bishop and his colleagues, or that gang of CalTech nerds gathered in Stuart's comic book shop. And even then, we just never got around to seeing them mention it on air. It's certainly a plotline that would put the lie to the title 'The New Normal'. And that argument on smaller levels would apply to individual shows like 'Hart of Dixie', 'Parks and Recreation', 'The Office' or 'Suburgatory'. So where could we stick this mini-invasion? How about the City that's not currently being used for any TV series, but which would be the natural location for so many of the events that happen in this ad besides the invasion - like the escape of the circus animals, the bank robbery by masked wrestlers, or just the simple dilemma of a cat up a tree? I'm talking about the nameless metropolis of 'The City'. 'The City' was a very short-lived (but very funny in my book) sitcom starring Valerie Harper. And The City was also the center of activity for the superhero team of 'The Tick' and his sidekick Arthur, the Moth. (Or if you prefer, the Bunny.) I wouldn't be surprised if other TV shows in the past were set in nameless cities which could also be considered "the City." And when it comes down to it, it doesn't have to be such a nameless city at that. Maybe by calling it "the City", the citizens were just making a short-hand reference to their hometown of Gotham City. Why not? Gotham City seemed to be some kind of magnet for the costumed criminals in the past when Batman and Robin patrolled the streets. So why shouldn't it continue long after the Dynamic Duo seemed to have retired from the scene, when super-heroes like Bat Manuel and Captain Liberty were there to help fill the void? Somewhere out there in the City, as seen from the view from the Rock's window (whoever he was playing if not himself), the Tick and his costumed companions were joined in the fight against the aliens. Meanwhile, at City Hall (said in the voice of the 'Batman' narrator), Liz Gianni and Roger Barnett were busy implementing the emergency protocols. 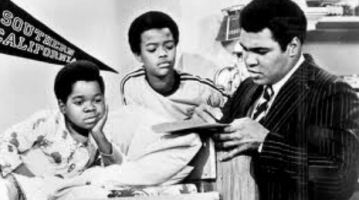 Arnold's wildest dream is realized when he comes face-to-knee with "The Champ" -- special guest star Muhammad Ali. 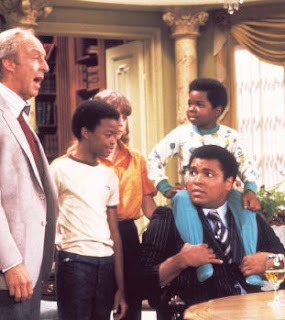 When the meeting arranged by Mr. Drummond between Arnold and his idol, Muhammad Ali, falls through, Kimberly and Willis concoct a wild scheme.